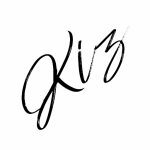 Polish Con is quickly approaching and so are the sneak peeks! The Road to Polish Con caters to those like me who are unable to make the event this Spring in New Orleans. The Big Easy is on my list of places to visit and eat all the things, obvi. It’s such an intriguing and culturally rich place with remnants of French Creole dialect that is similar to my own. Even the images of colorful Creole cottages take me right back home. I’m sure those visiting for the event will have an amazing time and of course show off their good times on Social Media. 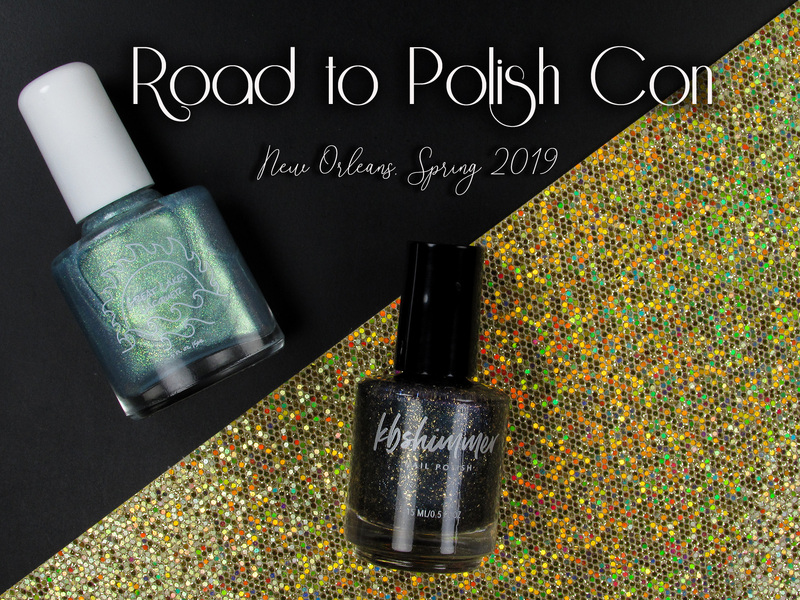 I have two polishes that you can grab right new without booking a trip to NOLA. Let’s take a look! I’ll have more details on the Polish Con event at the end of my post! 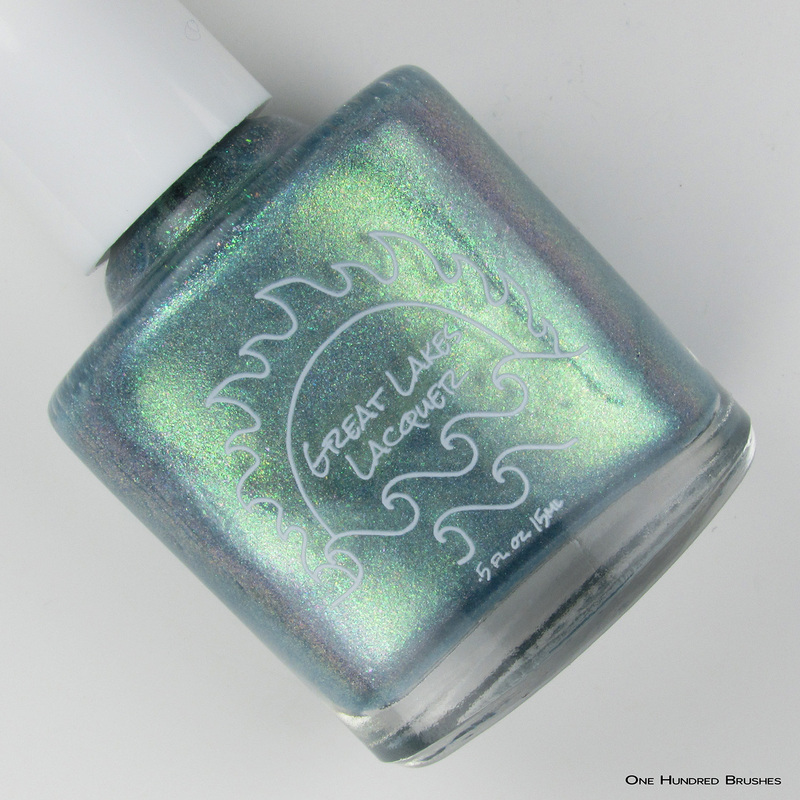 Bayou Princess is Great Lakes Lacquers’ mix for Road to Polish Con. Mariah is so good at pastel-y multichromes like this one. The base is a pale sea green multichrome holographic which catches hints of watery blue, periwinkle and orchid upon movement. The formula is great, just smooth and buttery. Here, I’m wearing two coats with a glossy topcoat. Not only does Cristy come through with a punny name but this multichrome hits the spot. The base here is a multichrome that shifts effortlessly from green to purple while capturing shades of blue, and magenta at angles. Bold gold flakes and holographic sparkles add tons of interest, pleasantly breaking up the movement of the shade. There are a lot of flakes in here, y’all! This does cause a bit of drag during application and dries to a bumpy textureas would be expected. A generous application of topcoat assists in smoothing things out. I’m wearing two coats with glossy topcoat. 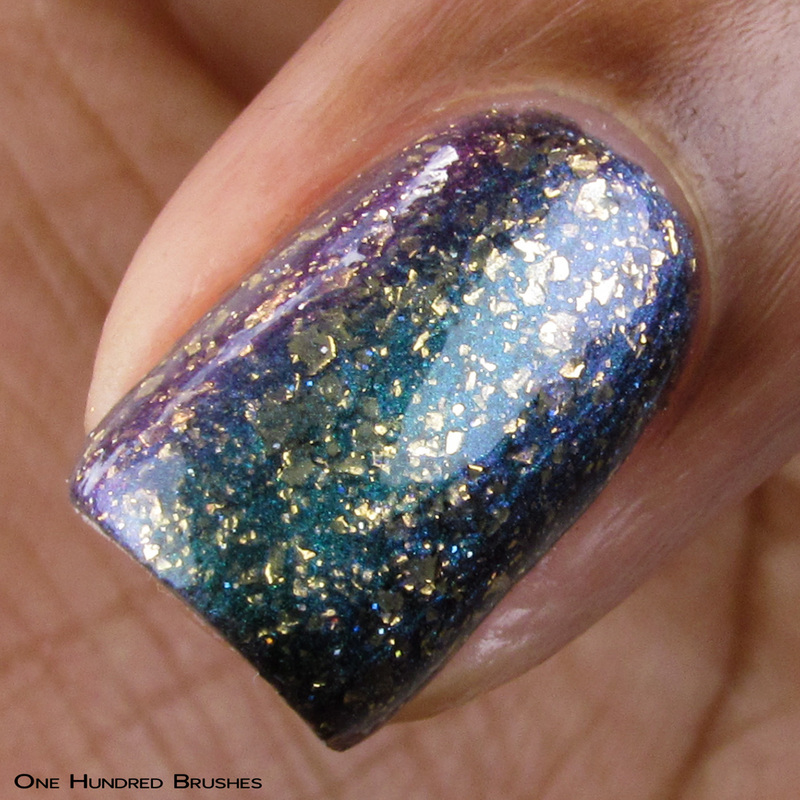 These two, as well as numerous other Road To Polish Con shades, can be preordered from the Polish Convention site. Preorder dates are January 18 to February 3 for these two in particular. There will be another preorder window for the second set of RTPC polishes. Also, tickets for the event are now on sale! Polish Con takes place on April 6, 2019 from 1 pm to 6 pm. Will you be attending Polish Con this Spring? What polishes are you excited to get?